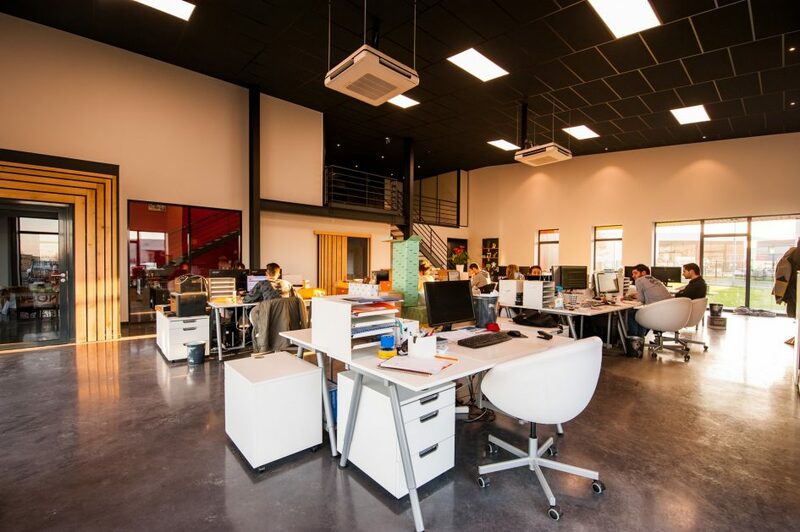 Renovations are required sooner or later for most business offices. There are plenty of solutions that will drastically change the look of a place but don’t require a whole gut job. Here are some ways to change the look and feel of your office without breaking the bank. 1. Paint. Paint is an easy and relatively inexpensive way to change the look of your surroundings. Definitely consult with a professional designer for at least an hour or two before doing anything drastic. A professional’s advice can make your space look polished and cohesive. Darker walls create drama and intimacy. Lighter walls create an airy environment. The right color can improve the performance of your staff and up the buying behavior of your customers. 2. Flooring. Flooring is a super important choice because you want it to be long-lasting. You want flooring that is safe and easy-to-clean but also adds to your overall style and brand. This is something we can help you with. We have luxury vinyl tile (LVT), broadloom, woven carpet, carpet tile, rubber flooring, and engineered hardwood to name a few. 3. Moving the furniture. Just by rearranging what you already have, you can totally redefine your space. This is a good question for your designer consultant. 4. Add Mats. If you do nothing else, adding mats will make your offices safer and your employees happier. We have a complete division that handles every possible mat you could need including but not limited to, entrance mats, logo mats, anti-fatigue mats, and mats for wet (kitchen or shower) areas. 5. Changing Window and Door Trim. Something as simple as changing all the trim can totally change the look of your space. An experienced eye can date spaces by the color and width of trim work. This can make a big difference even if you don’t paint the walls. 6. Add Some Plants. Plants look beautiful in an office. They can be added to any décor style, and they add a warmth and humanity to any environment. Furthermore, there has been some research showing that employees are happier and more productive in an office with plants. Make the most of your renovation by making your office safer with better floor coverings and mats. Remember half of all commercial floors recently tested were too slippery for safety standards.